More Maths – Mathematics in an enjoyable and easy-to-learn manner, because we believe that mathematics is fun. 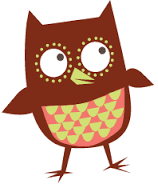 Check out the Oxford Owl site for some great ideas for fun Maths at home. Plenty of short videos with fun games for the family. Mathemagician Andrew Jeffrey is on hand to help you with fun ideas for practising maths at home. Watch a group of children try lots of fun activities with Andrew, including games to practise times tables. Ireland’s Environment – How can you help your environment?